Sixty-four junior golfers from across Canada will compete for gold starting tomorrow when the 2017 Canada Summer Games golf tournament takes place from Aug. 8-11 at Southwood Golf and Country Club, in Winnipeg, Man. A Thomas McBroom design – Southwood Golf and Country Club is known for its undulation and scenic views. With water, sand or both in play on nearly every hole, the course will provide a stiff test as golfers from ten provinces and one territory. compete for four gold medals. British Columbia comes to Winnipeg as the two-time defending champion in the male and female individual and team events – the only province or territory to win a gold medal at the Canada Summer Games since golf became part of the Games in 2009. Team B.C. is sending a strong contingent again in the boys’ competition. The team is led by 16-year-old Victoria native Nolan Thoroughgood. Thoroughgood became the youngest champion in the history of the B.C. Men’s Amateur (age) when he won by two strokes in 2016. He’s joined by Keaton Gudz (Victoria) and Tristan Mandur (Mill Bay). All three are ranked inside the top-45 of the Future Links driven by Acura National Order of Merit. 15-year-old Kelvin Lim will lead the Team Ontario boys’ team as Ontario attempts to take down the B.C. powerhouse. Lim, from Thornhill, won the 2017 Investors Group Ontario Junior Boys’ Spring Classic and is ranked third on the Future Links driven by Acura National Order of Merit. Sudbury’s Tristan Renaud – the 2017 Ontario Junior Boys Champion – and Alliston native Taylor Beckstead will join Lim in Winnipeg. On the girls’ side, Team Canada’s Hannah Lee of Surrey will lead Team B.C. in their title defense. Lee is in her second year on the Team Canada Development Squad and is coming off a third place finish at the B.C. Junior Girls Championship. Lee is joined by Richmond’s Alisha Lau the 2017 B.C. Junior Girls Champion Tiffany Kong (Vancouver). Led by Team Canada Development Squad’s Monet Chun, the Ontario team will look to bring gold to Canada’s largest province for the first time. Chun, from Richmond Hill, won the 2017 Ontario Future Links Driven by Acura Championship and the 2017 Investors Group Junior Girls’ Spring Classic. London, Ont., native Ellie Szeryk, the 2017 Investors Group Ontario Junior Girls’ champion will join Chun along with Toronto’s Sarah Beqaj who is a member of Golf Ontario’s Team Ontario program. Both the team and individual competitions take place over the course of four rounds with no cut and all 60 golfers playing 72 holes. Each day the two best scores of the three team members count towards the team score. The team medallists are determined by the aggregate sum of the four daily team scores. For more information on the Canada Summer Games golf tournament click here. Click here to view the rosters of each team. B.C. 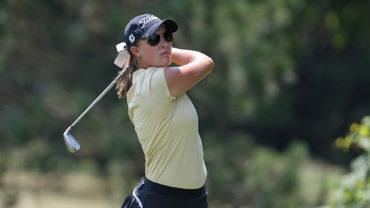 has won all eight gold medals since golf became part of the Canada Summer Games in 2009 and has the most medals overall with 10 (eight gold, one silver, one bronze). In 2013, British Columbia dominated the team competitions in Sherbrooke, Que., winning the girls’ event by 17 strokes and the boys by 12. Maple Ridge, B.C.’s Kevin Kwon won the 2013 men’s individual event finishing 13 strokes clear of silver medallist Etienne Papineau (Bromont, Que.) 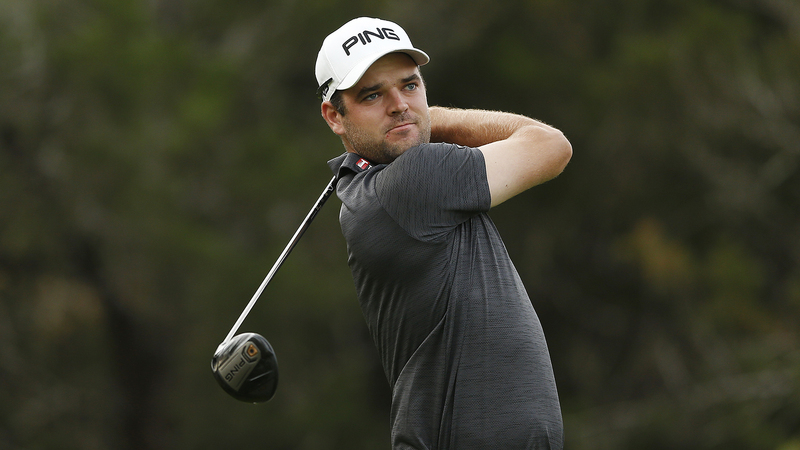 en route to establishing a new Canada Games record with a four-round score of 279 (-13). Calgary’s Matt Williams won bronze. Surrey, B.C., native Taylor Kim finished five shots ahead of Valerie Tanguay from Saint-Hyacinthe, Que. in the women’s 2013 event. Calgary’s Sabrine Garrison won bronze. 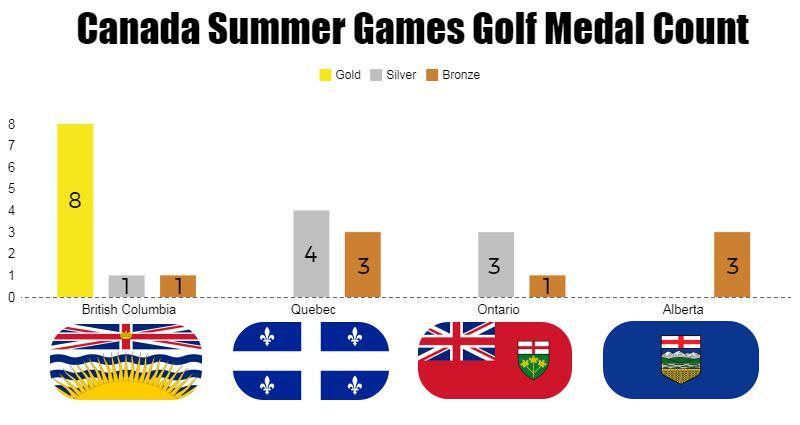 Only four provinces have medalled in golf at the Canada Summer Game: British Columbia, Alberta, Quebec, and Ontario. The lowest single day team score is 141 for male and female with B.C. setting both records at the 2009 Canada Summer Games in Prince Edward Island. Southwood Golf and Country Club was established in 1894, but moved to its current location in 2011. 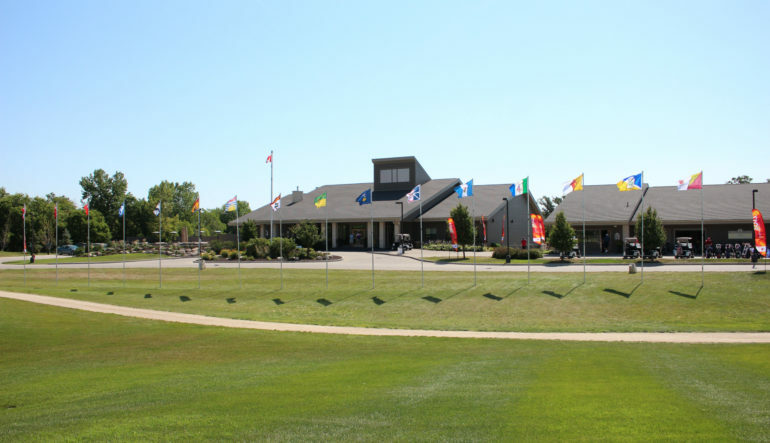 Southwood Golf and Country Club hosted the 2014 Canadian University/College Championship and the 2014 Canadian Men’s Amateur Championship. The ruins of a monastery were left in place during construction of the course creating a landscape with natural beauty and man-made structures.